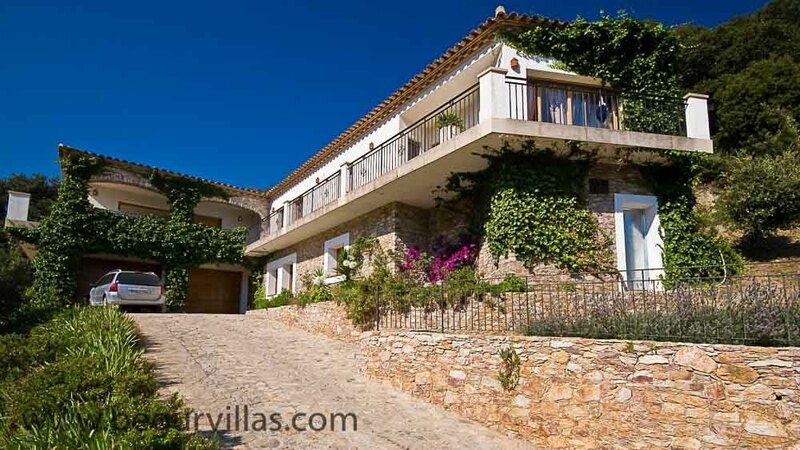 Begur Villas - Two amazing villas in Begur, Spain for rent. Both have amazing views and their own pool. 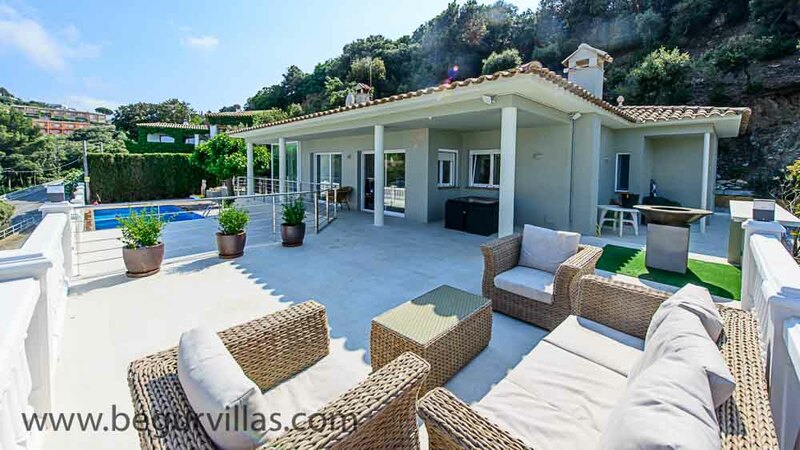 Villa Begur and Villa Sa Riera are next door to each other and a short walk from the centre of the beautiful town of Begur, Costa Brava, Spain. There are many local beaches, the nearest of which, Sa Riera is only 1 mile away. For more details about the two individual villas scroll down or use the links above or click on the pictures below. There are more details about beautiful Begur on the link above. If you would like to be kept informed of special offers or last minute deals please enter your email address here. We promise not to share it with anybody else and to only send out a few emails per year. Amazing 6 bedroom villa with its own pool and incredible views. Incredible views from living areas and even better from Terrace. Electric car charger - three phase 32A Commando, suitable for Tesla Model S with Tesla UMC or juice booster. You can read more about this in the blog. Sleeps 13 in 3 double (both en suite) 1 triple and 2 twin bed rooms (one en suite). Outside lunch table under Beautiful olive tree perfect for long lunches! Electric car charger - three phase 32A Commando, suitable for Tesla Model S with Tesla UMC or juice booster. UMC supplied if required. You can read more about this in the blog.